Junior Katie Word and Senior Chesley Lucas share a similar fashion sense. The duo feature a mixing of styles through their clothing, combing a mix of 90s throwbacks and current trendy looks. “ I think it's a blend between trendy stuff that's happening now and also a mix of vintage stuff from the 80s or 90s,” Chesley Lucas said. 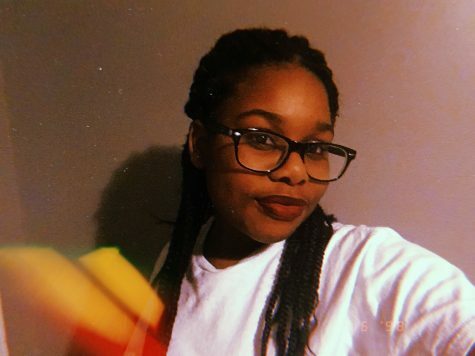 The year is 1990, Britney Spears and Mariah Carey blast through nearby boomboxes, and pop culture remains highly influential among America’s youth. The 90s reflects a time in fashion where various prints and patterns covered the clothing of American teenagers. NC students filled the halls with a plethora of colors and shoes, adorned with bows, buttons, ribbons, coins, chains, and buckles, and girls decorated their faces and hair with “Lenin glasses, wild exotic hats, and costume jewelry,” (Davis, Hicks and Hester 1991). Popular movies and celebrities also influenced fashion globally and encouraged mall shopping. “Films like Clueless promoted designer schoolgirl style. The ‘Girl Power’ movement promoted by bands like the Spice Girls also influenced 1990s style, with Geri Halliwell’s Union Jack dress from the 1997 BRIT Awards symbolising Cool Britannia and becoming one of the most imitated and iconic dresses of the decade,” writer for HuffPost Jessica Lewis said. Common materials featured in this era included silk, rayon, cotton, leather, and denim. Groups such as The Spice Girls, TLC, and Destiny’s Child encouraged the use of fabrics easily found around the house. “Fashion Tips: The Trends For The 1990’s,“ archived from The Chant, Volume IV, Issue IV, 1990, notes, “the fashion scene calls for everyone to have their own unique style. Almost anything goes,” staff members Tina Davis, April Hicks, and Dana Hester said. Modern fashion fuses trends from the 90s, 80s, and 60s. 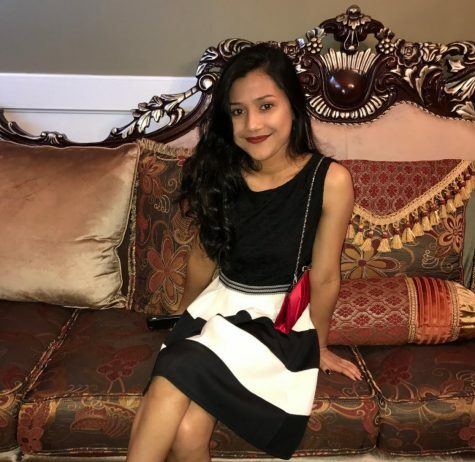 Today’s trends vary in styles that include short, tight-fitted clothing such as bodycon dresses, crop tops, off-the-shoulder shirts, and ripped jeans. Back in the 90s, women’s fashion focused on low-waisted pants and crop tops that showed a minimal amount of skin. Today’s fashion showcases more skin, with girls wearing high-waisted pants and shorter crop tops that show more of their stomach. The 90s also included denim on denim looks, which celebrities like Britney Spears and Angelina Jolie sported. 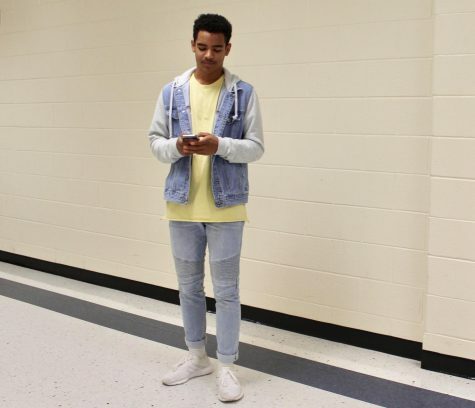 Sophomore Drew Dodd wears denim on denim which correlates back to the fashion trends in the 90s. The folded ends of the jeans and the bright yellow shirt also match trends shown in the 90s. “I like wearing denim on denim because it gives me the option to wear more bright colors and express my style range and confidence to wear double the denim.” Drew Dodd said. Celebrities like the Kardashian-Jenners, the Hadids, famous models such as Hailey Baldwin, and singers like Rihanna and Kanye West all influence today’s fashion trends. Fans marvel at the icons’ bold fashion statements and attempt to recreate their styles as their own. The influence of these celebrities control the fashion market and lead to materialistic consumers. Brands like Nike, Adidas, Vans, Michael Kors, Supreme, Calvin Klein, and Gucci dominate the global fashion market. These brands impact fashion with their signature fashion stamps that attract consumers to recreate the looks of their favorite celebrities. 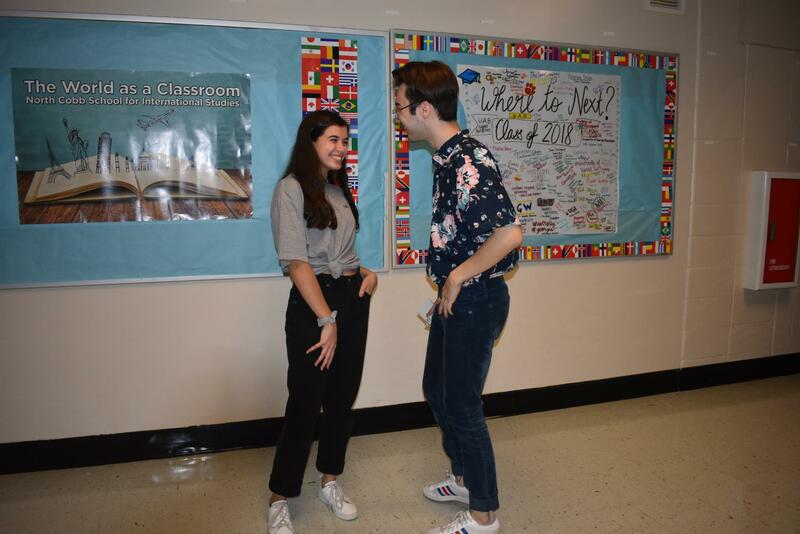 NC’s students follow this pattern with their branded clothing, ranging from Gucci belts and Vans shoes, to Adidas track suits and Michael Kors watches—examples constantly appearing in the halls of NC. In comparing 90s fashion to today’s fashion, the 90s emits a more extravagant and bolder view on trends, however, today’s styles focuses more on appearance and brands of clothing. Today’s trends show that people center their attention on the price tag and designer rather than the general fun of fashion that thrived in the 90s. 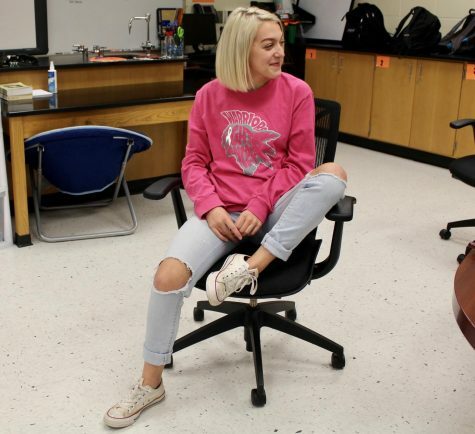 Senior Kelsey Dotson rocks modern fashion with ripped jeans, converse shoes, and a pink NC shirt. The ripped jeans play into today’s fashion trends and the converse add a touch of 90s. “I prefer 90s fashion over modern fashion. I incorporate it into my everyday style with the trends of the 90s. I prefer it because it fits my style better and is more suiting to me; I grew up with the influences of 90s celebrities. It’s just a part of me.” senior Kelsey Dotson said.